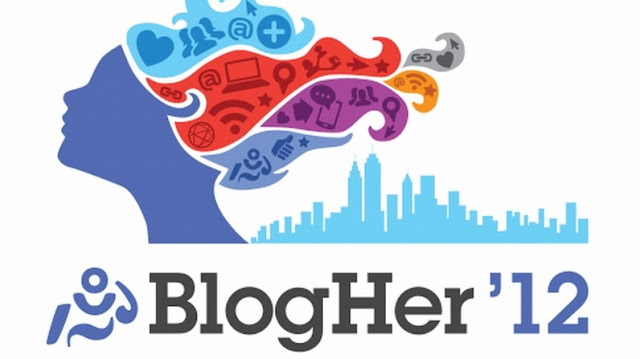 BlogHer’12 was my very first blogger conference and I loved every minute! It was filled with an interactive expo floor, informative panels, inspirational keynotes, fun parties, brilliant women and tons of conversations and networking! The Expo hall,wowser! Sorta overwhelming at first; but it is an engaging and colorful environment that brings together bloggers and brands. Getting silly at the Expo with Zamzee! I really enjoyed talking with the Zamzee team who has developed some hip technology that helps families make physical activity a fun part of daily life! It is called the Zamzee meter and online experience. I got to take one home, so I will have an update post about Zamzee! I also enjoyed speaking with Bankrupting America, a non-profit organization that cuts through all the clutter and sheds light on economic policies. In their booth they had Jon Casey, a talented caricature artist doodling away. Scary, but this caricature looks just like me! Extra Space Storage, brand all about storage, offered back massages in their Expo booth. I couldn't resist! The informative panels!! Learning how to leverage Facebook and Twitter was eye-opening! You must find creative ways to engage your audience in-order to keep your variable AFFINITY up! What the heck is Affinity, you ask? Well, Facebook has an EdgeRank # that weights who messages you or likes your content the most. Those who do not, will not get your news-feed as much. Crazy, right? All the swag! I lugged around a bag filled of free creams, candles, Lysol products, etc but the most helpful was that Boiron homeopathic cream called Arnicare. It really works! I had an aching back ache carrying all that stuff but I feel great now! Go Boiron!! The powerful stories heard at Voices of the Year were moving! Blogher party! 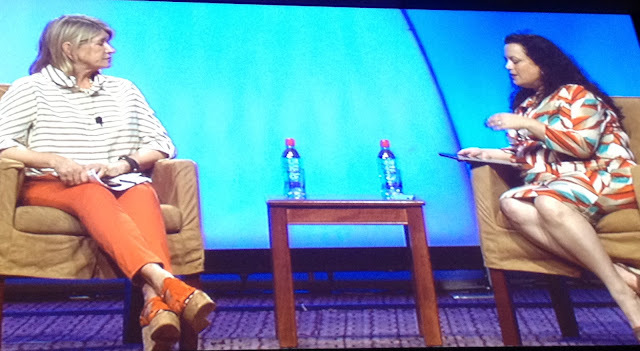 I was truly inspired by the incredibly funny and fabulous women I met. First, Big Hugs to Sheryl of Peace Love Cupcakes, all about cupcakes, who I shared the day with! Really loved talking to Anita, the Chief Enchilada of DenverGreenChili, guide to everything green chili. Also author of Pintactics! a quick Pinterest start workbook; Kathryn of Women Launch. Also developer of Skripz, a photostory sharing App coming soon! ; Meghan of Acceleration-partners, marketing and strategy; Lisa of Mogulbaby, baby related fabulous finds; Sandy of MomlifeTV, a lifestyle network for Mom's; Annie of Peach Prenni, family life stories; Robin of Robin's Chicks, humor columnist documenting her family life; Fausta of Fausta's blog, political content; Bren of BCgarden, all about gardening; Erin of aparentingproduction, all about her family life. Muah ladies!! Building a foundation of strong relationships! Good vibes, good time,and positive energy! My creative juices are flowing! Had a great time with ya, Mish! 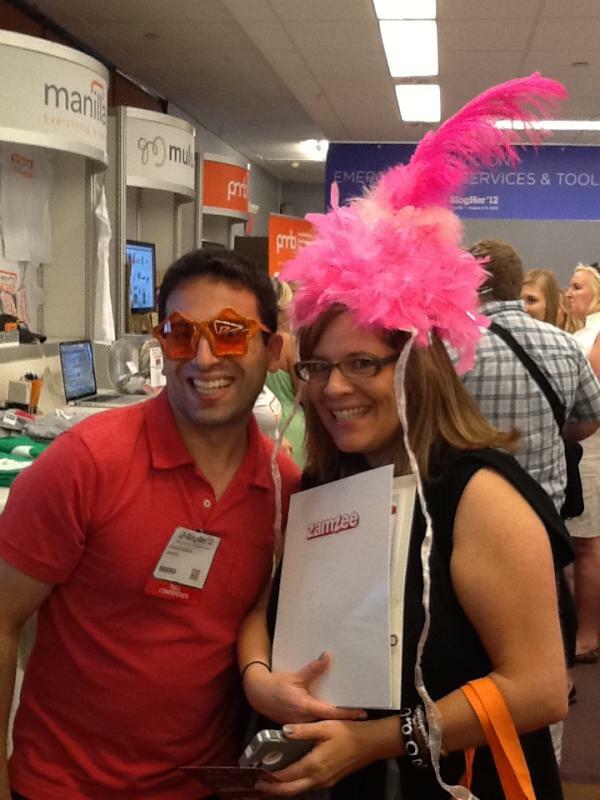 It was great meeting you at the Zamzee booth! We *LOVE* the photo!